The large increase in rubber track loaders means that the demand for replacement parts is growing. Available from Bearcat, Solideal manufacture the CTL BJW style block pattern track that is commonly used in Australia. However, with the increasing number of machine types and horsepower it seems some of the 320 wide BJW tracks were failing in some applications. Solideal immediately began working with their rubber track team in Belgium to resolve the issues. 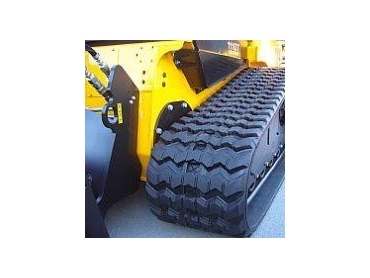 A corrective action plan has been implemented at factory level to reduce the failure rate seen in the field for these types of compact track loader rubber tracks. Solideal premium quality rubber tracks are available through Bearcat or authorised Solideal suppliers.